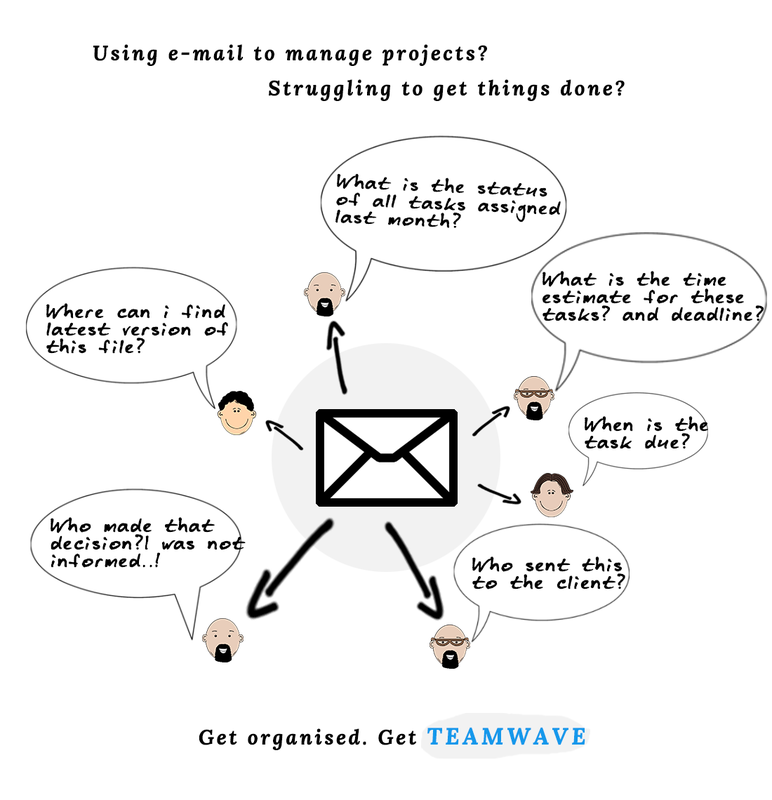 Do you use email for managing projects and tasks? Most people do. Email seems like the most convenient form of communication to “get things done”. People working on projects also need to work with other people: colleagues, consultants, vendors, clients, etc. The problem: Most people managing projects are struggling to meet deadlines. Organising people around a project, getting status updates and keeping everyone on the same page is a constant struggle. When you use EMAIL to manage projects, you increase the problem. Email actually derails projects! Projects usually comprise a series of tasks. A project manager is the person who knows what all those tasks are, but other people will be the ones completing the tasks. So a project manager needs to assign work to the right people and then monitor progress. Think about what email is good at providing: asynchronous communication with a paper trail, and document delivery. Now think about what’s needed for assigning and tracking tasks: knowing who’s available and how much work they already have on their plate, moment to moment; visibility into the progress of the work; a calendar of deadlines; the ability to prioritize and reprioritize tasks based on the needs of the project; and so forth. Email is not the right tool for assigning tasks/work. Email cannot be used to monitor project progress. Infact email increases stress, creates unnecessary work, and makes people feel overwhelmed. No one does exceptional work under these conditions. Productivity experts have pushed knowledge workers to get off of email, or at least to ditch internal company email. An excellent way shift away from email is to all but ban it from project work and move that communication to a project management service instead. Using Email for Project Management? Project management services are online tools that teams use to track their work on projects, discuss the details, and complete the job. Users can use a project management tool simultaneously or asynchronously. Every tool is a little different, but most of them give users greater visibility into every aspect of the project than email can. It’s a calmer, more peaceful way to work. TeamWave is an integrated suite of business applications for small & medium-sized companies. 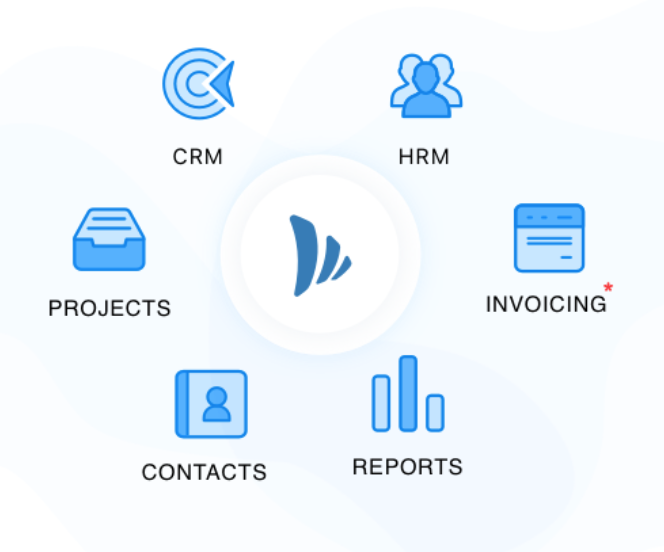 TeamWave’s project management application enables cross-functional teams (your employees, clients or vendors) to collaborate, organize and discuss everything they need to get a project done. See it, track it, discuss it, act on it. 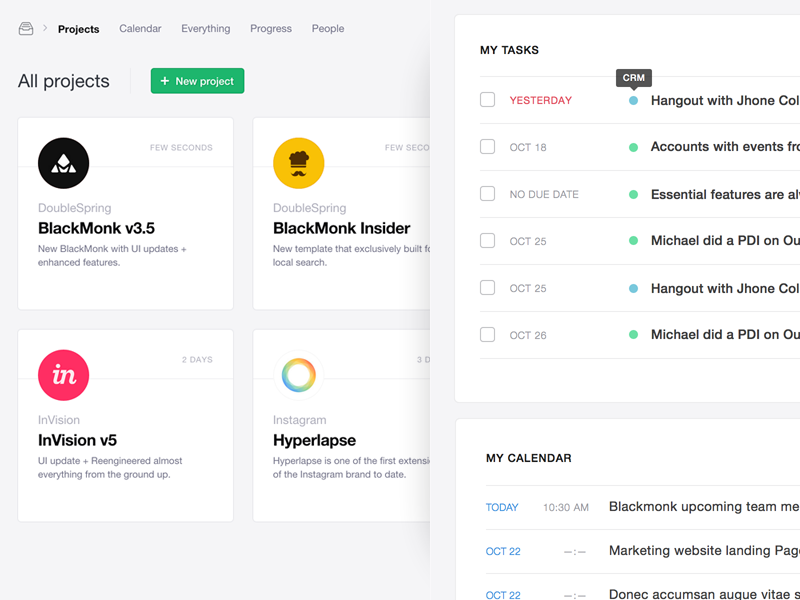 Tasks, discussions, milestones, and files – Keep all your work in one place! See the full feature list or signup for a free trial. The benefits of getting a team off email and into a project management platform to communicate during the course of a project are enormous. The reduction in email alone is sure to make everyone happy, but that pales in comparison with the added value of everyone knowing where everything is, they know what they need to do, and nothing slips through the cracks. Better visibility & insights help decision makers to make good decisions.